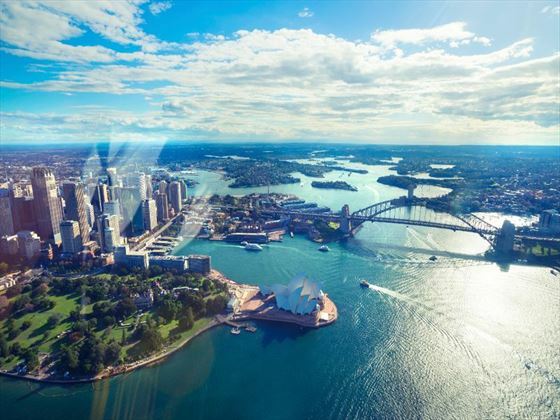 Arrive into Sydney and transfer to your hotel. 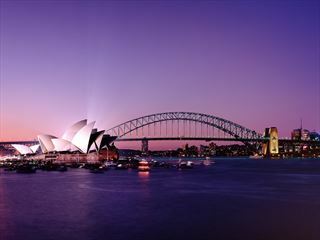 There will be a half-day city tour to acquaint you with the sights, including the Opera House and Sydney Harbor Bridge. Enjoy a welcome dinner in the evening at Sydney Tower where you can meet your group and tour guide. Enjoy a leisurely breakfast then drive north across the famous Sydney Harbor Bridge to the seaside town of Port Macquarie. This town is situated on the mid-north coast of New South Wales and is known for being scenic and filled with gorgeous beaches. Upon arrival, you can spend the rest of the day exploring at your own pace. 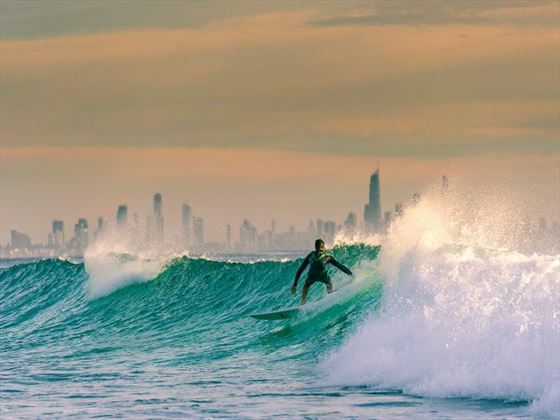 Continue your journey north today as you head along the New South Wales coast, stopping en-route at Byron Bay. This picturesque seaside town is known for its vast collection of unspoiled bush areas, laid-back pace and pretty beaches. Passing Cape Byron and continuing on to the Gold Coast, you’ll be met with uninterrupted views of the coastline. Check-in at your hotel and then enjoy an evening at leisure. 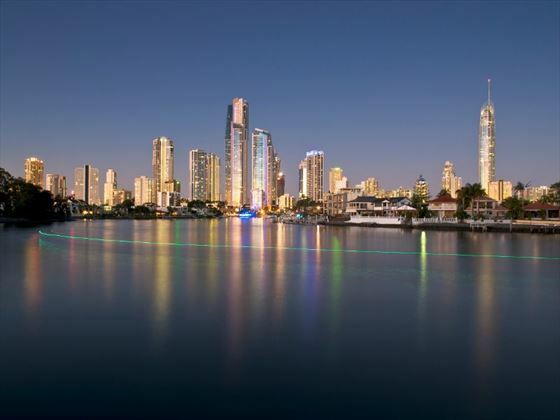 Leave the Gold Coast in the morning and travel through Brisbane to head north to the Sunshine Coast. There will be a visit to the world-famous Australia Zoo which was made famous by the Crocodile Hunter Steve Irwin and is home to a vast selection of animals and birds from around the world. You will gain a thorough understanding of the conservation of the area and will be able to see a number of species up close. 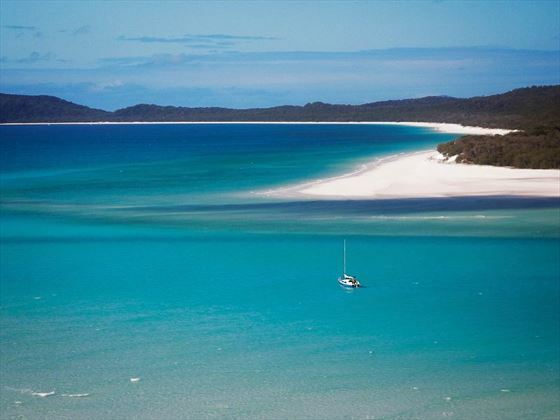 Afterwards, travel to the World Heritage-listed Fraser Island. 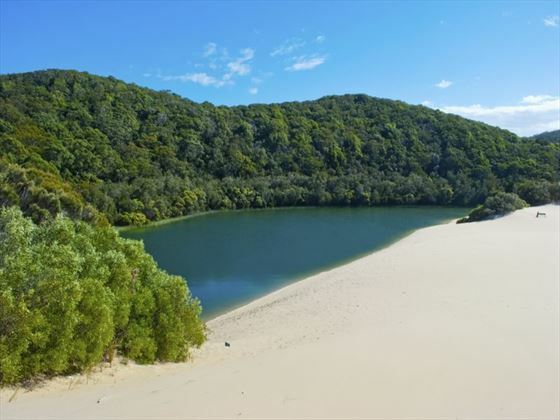 Fraser Island is located at the southern tip of the Great Barrier Reef and is a secluded paradise of untamed landscapes and blissful beaches. Today will be spent exploring this wonderful area with a half-day tour before heading along some of the walking trails throughout the island. Filled with ancient rainforests and coloured sand cliffs, Fraser Island is a truly stunning part of Australia’s landscape. Visit Seventy-Five Mile beach, watch out for the exciting marine life such as humpback whales or visit the wreck of the Maheno trans-Tasman liner which was driven ashore in 1935 by a cyclone. Alternatively, simply relax on the beach and unwind. Take a morning cruise to Hervey Bay – often considered to be the jewel of Queensland and it’s easy to see why upon arrival. Afterwards, journey through sugarcane country to arrive in the city of Rockhampton. Rockhampton is the gateway to both the Outback and the coast – explore some of the beautiful provincial gardens in Australia found here before making your way to Airlie Beach for a cruise to the Whitsundays. 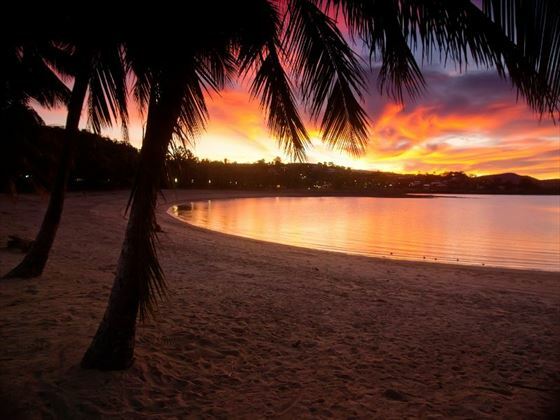 End the day with a stay at the pretty Daydream Island Resort & Spa which makes typical island life a reality. Today is at leisure to give you chance to explore more of Daydream Island. Go snorkeling, relax by the pool, take part in exhilarating watersports or indulge with a rejuvenating spa treatment. After breakfast, head north via a ferry transfer to Shute Harbor to re-board the coach to Townsville. Upon arrival, embark on a city tour before continuing on to Mission Beach where the Great Barrier Reef and the Wet Tropics Rainforest meet. 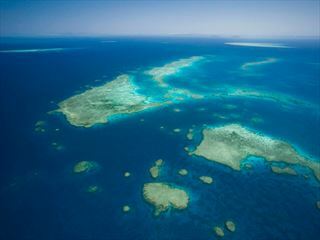 These two World Heritage-listed areas offer superb scenery. Relax on Mission Beach for the remainder of the day and make use of the facilities at the resort. 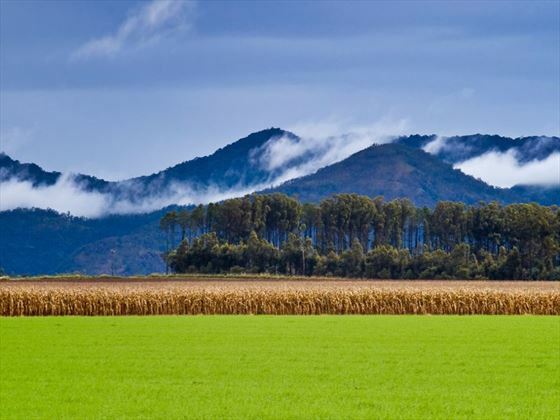 Leave Mission Beach in the morning and journey north, passing rolling hills, tropical rainforests and farmland. 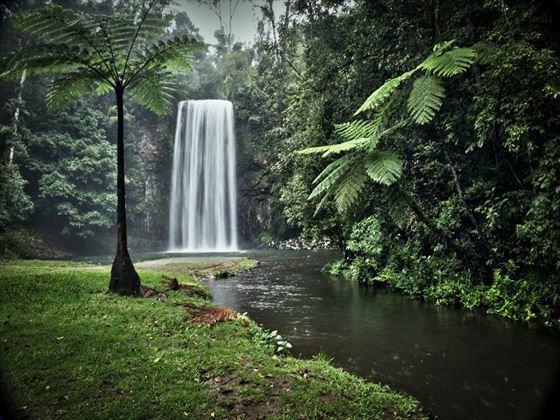 This region, defined as the Atherton Tablelands, is part of the Waterfalls Circuit which includes the Millaa Millaa Falls. 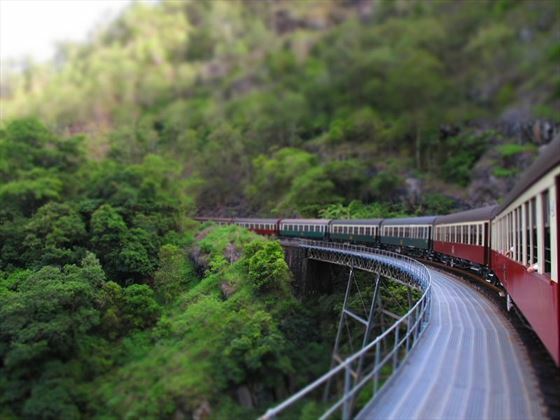 Make your way towards Cairns, stopping along the way to visit the Curtain Fig Tree which is an icon of Australia. Board the Skyrail Rainforest Cableway in Kuranda and make your way over the treetops to Caravonica Lakes – a truly memorable experience. Cruise from Cairns to Reef Magic’s exclusive reef activity platform to spend a few hours enjoying the marine life and colourful coral. 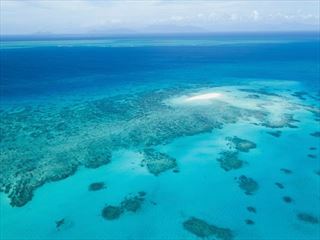 There will be chance to take advantage of the unique opportunity to snorkel in the secluded coral lagoon, as well as walk through the underwater observatory, join a tour on the semi-submersible or glass-bottomed boat, or relax on the sundeck of the ship. Spend time admiring the astonishing array of tropical fish and coral in one of the world’s most famous locations before heading back to the hotel to relax. In the evening, enjoy a farewell Aboriginal cultural dinner and performance with your group. Drive to Port Douglas for a tour of the township before enjoying some free time to relax and make the most of your surroundings. Afterwards, return to Cairns for your transfer to the airport where the tour comes to an end.